Display your Tesla. Admission and parking are free. No registration fee to display cars. 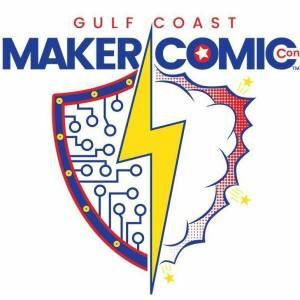 The St. Petersburg College-Seminole Campus is hosting the Gulf Coast Maker and Pinellas ComicCon Festival on Saturday, March 24, 2018. This event celebrates local manufacturing, industry and innovation and showcases all kinds of products by all kinds of companies, small businesses and individuals. This includes technical, creative and professional exhibits, workshops covering patent development and the inventive process, 3D printing, programming, mechanical and electrical design, green tech and open source technologies. One staple of the event is Electrathon Racing. Electrathon racers are custom built three or four wheeled electric vehicles, similar in overall appearance to a Go-Kart, but powered by an electric motor and batteries. Our club has been invited to display up to 4 Teslas at the event. If you would like to display your Tesla, select the "Display Your Tesla" registration type. If you would just like to attend the festival, select the "Attend Festival" registration type. There are no costs for admission, parking or to display your Tesla. Two J1772 chargers are about .2mi away at Harold G. Mangum Recreation Complex at 9100 113th St. N., Seminole, FL, 33772. 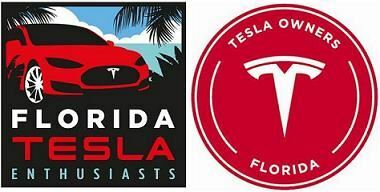 The Pinellas Supercharger Station is about 9 miles away.